It's been a while since I've done an Inspiration post. I have been having a big crush on gold lately, especially gold housewares and flatware. 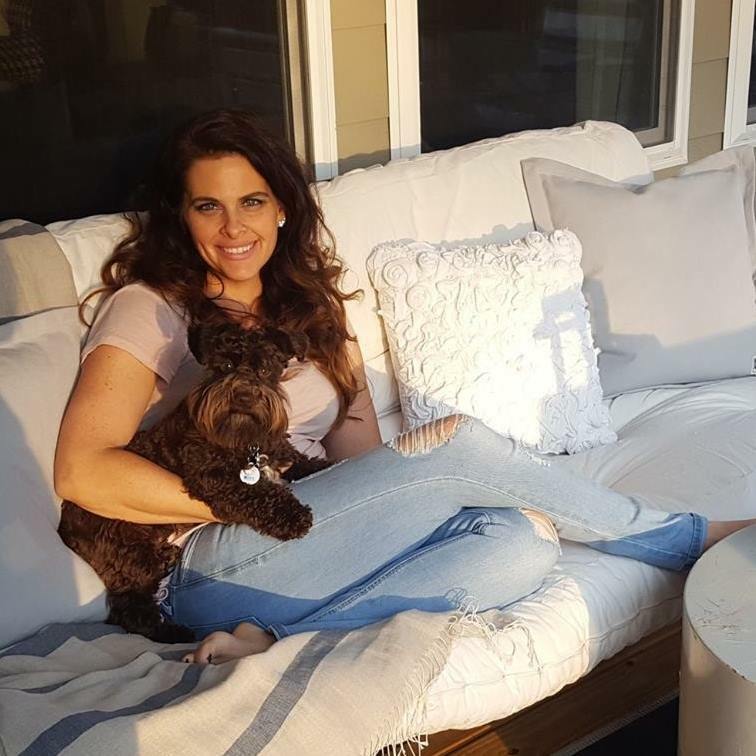 I have a theory that gold has become so popular lately because it hit an all time record high in value about a year ago and so many people sold their gold to make a little extra cash and now people are coveting it because they got rid of it. Hmm, maybe just a theory. Anyway I'm loving these party tablescapes set with gold flatware. 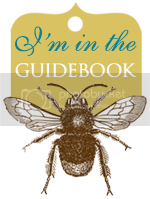 Makes me want to throw a big Spring soi·rée. 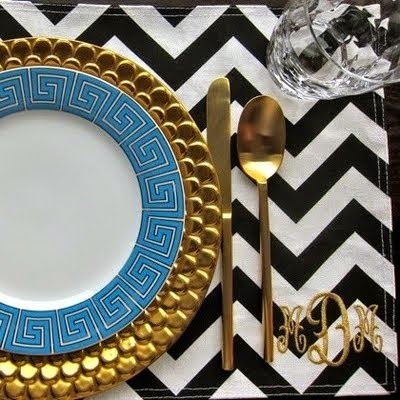 Black and White Chevron monogram platemat with blue Greek Jonathan Adler plate on top of gold plate. 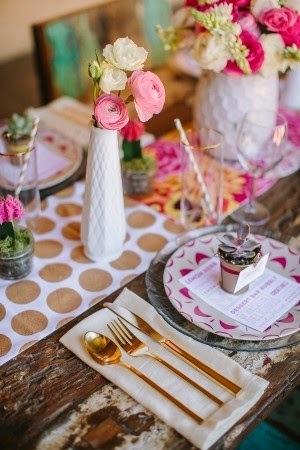 Gold polka dot runner, pink and white Ranunculus in white vases, cactus favors, and pink paper straws. 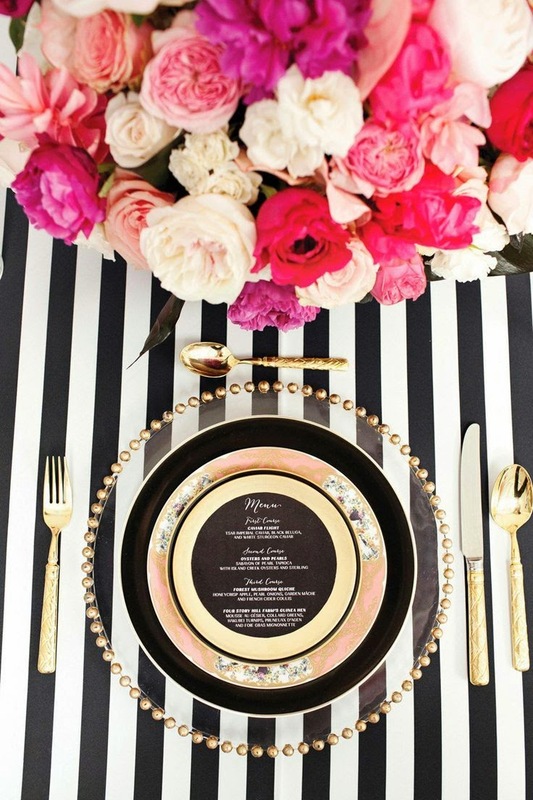 Black and white striped table cloth, gold and black china, pink and red roses and carnations. 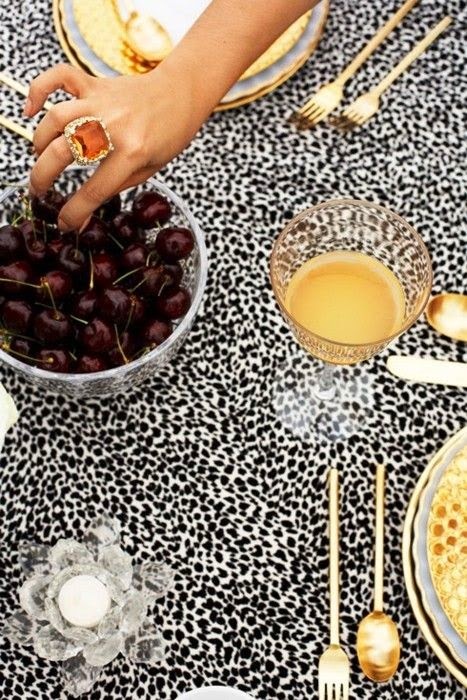 Black and White leopard print table cloth and gold plates. 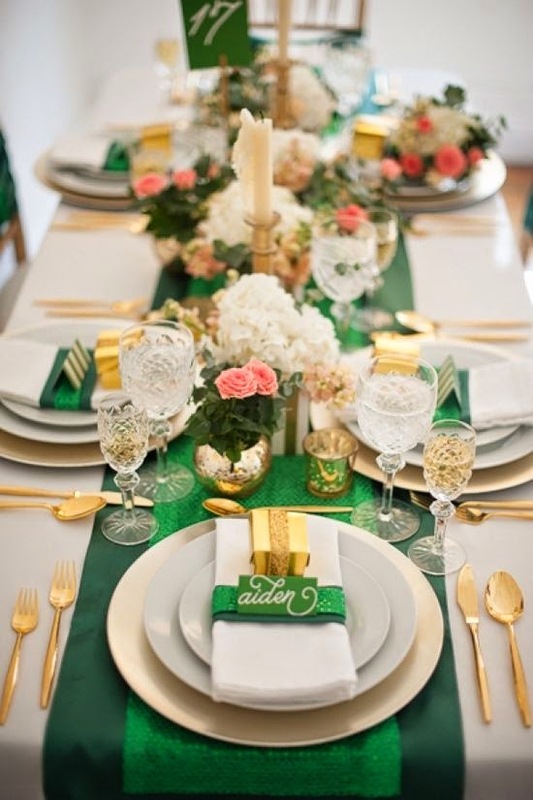 Emerald Green table runners, pink and white roses and crystal. 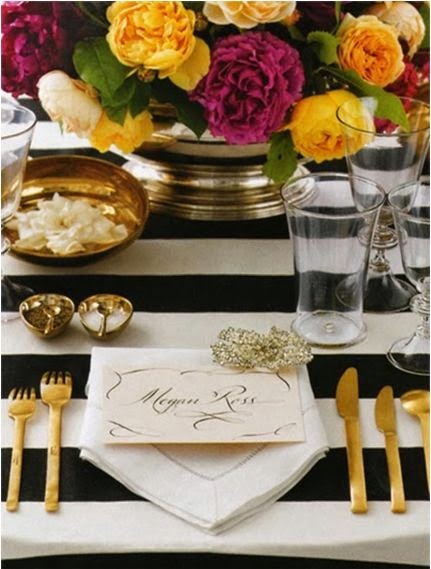 Black and White striped table cloth, gold plates, formal place setting, yellow and mauve roses.